At this point in time, it really hard to tell what the future has in store for the MCU. We don't exactly know what will result from the events of Avengers 4, but we could be seeing goodbye to a lot of the major players that have headlined these movies the last few years. Having said that, this paves the way for Marvel to bring in even more characters and movies based on them including a solo movie for Black Widow and an Eternals movie that have both already been announced. There's also the questions that still remain about the Fox deal, and whether we'll be getting an MCU reboot of the X-Men or Fantastic Four anytime soon. Well news might have just broke about one property we can expect to see adapted by the studio in the meantime. That Hashtag Show are reporting that Marvel Studios head Kevin Feige has apparently asked for a Dark Avengers script to be written. Now if this is true, that doesn't necessarily mean a movie is already in development. The studio still has several sequels to properties they've already established such as Doctor Strange, Black Panther, and Guardians of the Galaxy Vol. 3 to worry about right now. But the studio hasn't let this stop them from hiring directors for both Black Widow and The Eternals, which seem to officially be in the works despite not having release dates yet. The Dark Avengers would certainly be any interesting team to bring to the big screen, as they're essentially reformed villains pretending to be superheroes. They're formed by the Green Goblin himself Norman Osborn, who becomes in charge of an organization known as H.A.M.M.E.R. that has replaced S.H.I.E.L.D. following the events of the Skrulls secret invasion. 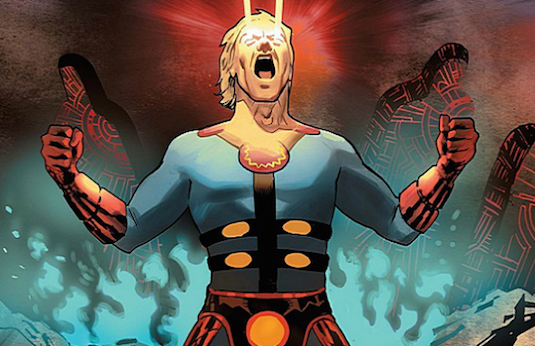 He puts together a team that includes former Scorpion Mac Gargan as a Venom/Spider-Man hybrid, Wolverine's son Daken disguised as his father, Daredevil villain Bullseye as Hawkeye, the god Ares, Moondragon as Ms. Marvel, Sentry, and Osborn himself as the Iron Patriot. Its unknown how the team would fit into the current landscape of the MCU, as the Spider-Man movies haven't even introduced Norman who is pivotal to all this. 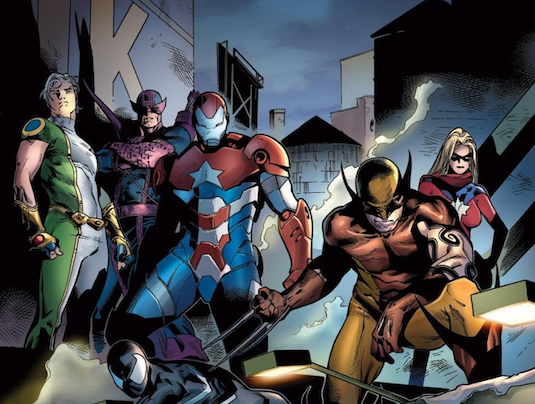 Marvel will soon own all the rights to these characters following the Fox deal, so they could possibly start planting the seeds by having them make appearances prior to their team up. Mac Gargan and Bullseye both have already made appearances in the MCU, and you may remember James Rhodes suiting up as Iron Patriot in Iron Man 3. 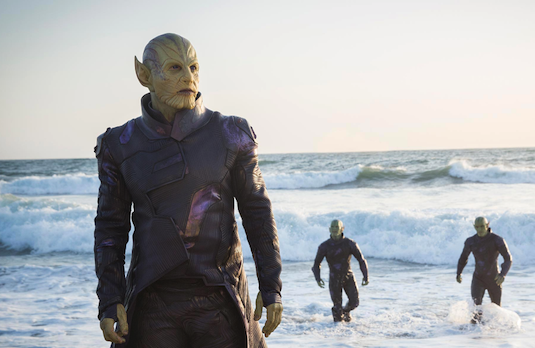 Captain Marvel is also introducing the Skrulls, which may lead to an adaption of Secret Invasion and ultimately explain the creation of The Dark Avengers. So how do you feel about this rumor? 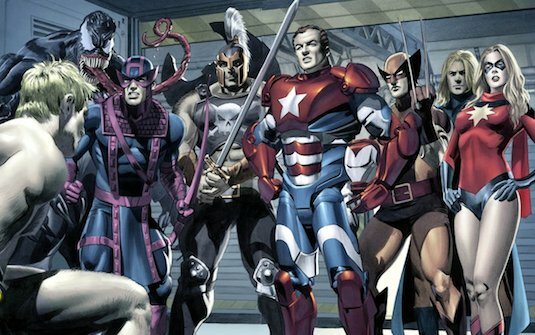 Would like to see Marvel bring the Dark Avengers to the big screen? Let us know below!